When it comes to exceptional audio clarity, the quality of digital can’t be denied. DP4000 Series portables give you digital audio performance throughout your coverage area plus unique features to help your employees hear and speak clearly, wherever they work. With Intelligent Audio, the radio volume automatically adjusts to compensate for background noise so workers don’t have to adjust their radio volume to avoid missing a call in loud situations or disturb others when they move into quiet areas. Increased background noise suppression helps filter out unwanted external clamour – from heavy equipment to the roar of engines. Bluetooth® audio is embedded in the radio1 , so no adaptor is needed when using wireless accessories. Also, IMPRES™ audio accessories enhance noise suppression and improve voice intelligibility for smarter accessories than ever before. 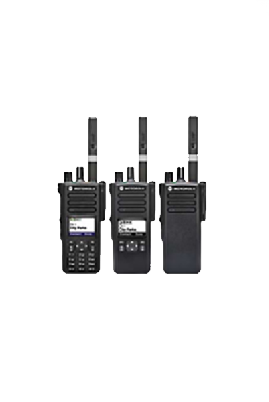 Series radios offer plenty of features businesses seek – including enhanced call signalling, basic and enhanced privacy-scrambling, option board expandability and the transmit interrupt suite to prioritize critical communication the moment you need it. Programmable button features appear on the display for easy viewing and quick access1 . And when workers can’t be distracted, customizable voice announcement provides audible confirmation of channel and zone changes as well as programmable button features, eliminating the need to view the display. Profiles Supported Bluetooth Headset Profile (HSP), Serial Port Profile (SPP), Motorola fast push-to-talk. 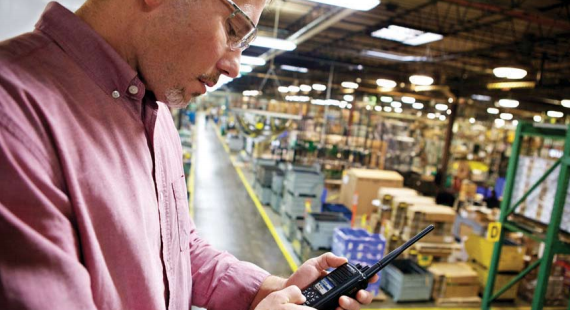 MOTOTRBO DP4000 Series portable radios have been certified by FM in accordance with U.S. Codes as intrinsically safe for use in Class I, II, III, Division 1, Groups C, D, E, F, G, when properly equipped with a Motorola FM approved battery option. They are also approved for use in Class I, Division 2, Groups A, B, C, D.